Do you ever feel like you’re sleepwalking through life with no real idea of what you want? Perhaps you know exactly what you want to achieve, but have no idea how to get there. That’s where goal setting comes in. Goals are the first step towards planning for the future, and play a fundamental role in the development of skills in various facets of life, from work to relationships and everything in between. They are the target at which we aim our proverbial arrow. Understanding the importance of goals and the techniques involved in setting achievable goals paves the way for success. How Often Should we Review Goals? Are there any Golden Rules? How can we Best Achieve Goals We Have Set? Goal setting is a powerful motivator, the value of which has been recognized in an abundance of clinical and real-world settings for over 35 years. ‘Goals,’ as defined by Latham & Locke (2002, p.705) are “the object or aim of an action, for example, to attain a specific standard of proficiency, usually within a specified time limit.” They are the level of competence that we wish to achieve and create a useful lens through which we assess our current performance. Goal setting theory (Locke & Latham, 1984) is based on the premise that conscious goals affect action (Ryan, 1970) and that conscious human behavior is purposeful and regulated by individual goals. Simply put, we must decide what is beneficial to our own welfare, and set goals to achieve it. Why do some people perform better on tasks than others? The goal setting theory approaches the issue of motivation from a first-level perspective; its emphasis is on an immediate level of explanation of individual differences in task performance. According to Ryan (1970), if individuals are equal in ability and knowledge, then the cause must be motivational. The theory states that the simplest and most direct motivational explanation of why some people perform better than others is due to disparate performance goals, implying that setting and adjusting goals can significantly impact performance. There exists a wealth of research in the area of goal setting, particularly within organizational settings. Initially, this exploration began with the objective of ascertaining how the level of intended achievement (the goal) is related to the actual level of achievement (the performance) in an organizational setting (Locke, 1990). The setting of goals has been shown to increase employee motivation and organizational commitment (Latham, 2004). Additionally, goals affect the intensity of our actions and our emotions – the more difficult and valued a goal is, the more intense our efforts will be in order to attain it, and the more success we experience following achievement (Latham & Locke, 2006). Through the experience of success and the positive emotions that accompany it, confidence and belief in our own abilities grow. Schunk (1985) found that participation in goal setting encourages a search for new strategies to aid success. Finding novel ways to utilize our skills and push our abilities increases task-relevant knowledge while enhancing self-efficacy and self-confidence. Goal setting involves planning for the future. MacLeod, Coates & Hetherton (2008) found that goal setting and skill-oriented planning significantly improved subjective well-being in those who took part in a goal setting intervention program. Thinking positively about the future bolsters our ability to create goals and consider the actions required to achieve them. The capacity to plan positively impacts our perceived control over goal outcomes and our future (Vincent, Boddana, & MacLeod, 2004). Furthermore, goal setting and achievement can promote the development of an internal locus of control. Where individuals with an external locus of control believe that both positive and negative outcomes are the result of external influences, those with an internal locus of control believe that success is determined by their own actions and skills. Initial theoretical statements regarding goal setting were made to determine how levels of intended achievement related to the actual levels of achievement (Locke, 1990). The goal-setting framework developed further provision that when an individual has specific goals to meet, their performance is more pronounced than in the absence of specifics. That is, setting clearly defined goals leads to better performance. By the 1990’s the research into goal setting culminated in the theory of goal setting and task performance in which 5 key principles for successful goal achievement were suggested (Locke & Latham, 1990). Commitment refers to the degree to which an individual is attached to the goal and their determination to reach it – even when faced with obstacles. According to Locke & Latham (1990), goal performance is strongest when people are committed, and even more so when said goals are difficult. Given the commitment to a goal, if an individual discovers their performance is below that which is required, they are likely to increase their effort or change their strategy in order to attain it (Latham & Locke, 2006). When we are less committed to goals – particularly more challenging goals – we increase the likelihood of giving up. In the presence of strong commitment, there is a significant association between goals and performance; we are more likely to do what we intend to do. (Latham & Locke, 1991). According to Miner (2005), a number of factors can influence our commitment levels. Namely, the perceived desirability of a goal and the perceived ability of achieving it. Whether you are setting a goal for yourself or for others, in order to be successful you must possess the desire and a comprehensive understanding of what is required to achieve it. Specific goals put you on a direct course. When a goal is vague, it has limited motivational value. Research by Arvey, Dewhirst & Boling (1976) indicated that goal clarity was positively related to overall motivation and satisfaction in the workplace. Set clear, precise and unambiguous goals that are implicit and can be measured. When a goal is clear in your mind, you have an improved understanding of the task at hand. You know exactly what is required and the resulting success is a further source of motivation. Goals must be challenging yet attainable. Challenging goals can improve performance through increased self-satisfaction, and the motivation to find suitable strategies to push our skills to the limit (Locke & Latham, 1990). Conversely, goals that are not within our ability level will not be achieved, leading to feelings of dissatisfaction and frustration. We are motivated by achievement and the anticipation of achievement. If we know a goal is challenging yet believe it is within our abilities to accomplish, we are more likely to be motivated to complete a task (Zimmerman et al., 1992). Miner (2005) suggested that overly complex tasks introduce demands that may mute goal setting effects. Overly complex goals that lie out of our skill level may become overwhelming and negatively impact morale, productivity, and motivation. The timescale for such goals should be realistic. Allowing sufficient time to work toward a goal allows opportunities to reassess the goal complexity, whilst reviewing and improving performance. Even the most motivated of people can become disillusioned if the task’s complexity is too great for their skills. Goal setting is more effective in the presence of immediate feedback (Erez, 1977). Feedback – including internal feedback – helps to determine the degree to which a goal is being met and how you are progressing. Unambiguous feedback ensures that action can be taken if necessary. If performance falls below the standard required to achieve a goal, feedback allows us to reflect upon our ability and set new, more attainable, goals. When such feedback is delayed, we cannot evaluate the effectiveness of our strategies promptly, leading to a potential reduction in the rate of progress (Zimmerman, 2008). When we perceive our progress towards a goal as adequate, we feel capable of learning new skills and setting more challenging future goals. Setting goals and reflecting upon them improves academic success. Around 25% of students who enroll in 4-year university courses do not complete their studies – common explanations for this include a lack of clear goals and motivation. Goal setting intervention programs have been shown to significantly improve academic performance (Morisano, Hirsh, Peterson, Pihl, & Shore, 2010). Goals are good for motivation and vice versa. Most definitions of motivation incorporate goals and goal setting as an essential factor, for example, “Motivation is the desire or want that energizes and directs goal-oriented behavior.” (Kleinginna & Kleinginna, 1981). Goal setting is associated with achieving the optimal conditions for flow state. Setting clear goals that are both challenging yet within your skill level is a powerful contributor to finding yourself in ‘the zone’. An optimistic approach to goal setting can aid success. Research into goal setting among students indicates that factors such as hope and optimism have a significant impact on how we manage our goals (Bressler, Bressler, & Bressler, 2010). Goals that are both specific and difficult lead to overall improved performance. Comparisons between the effect of non-specific goals such as “I will try to do my best” and specific, challenging goals suggest that people do not tend to perform well when trying to ‘do their best’. A vague goal is compatible with multiple outcomes, including those lower than one’s capabilities (Locke, 1996). People with high efficacy are more likely to set challenging goals and commit to them. Individuals who sustain belief in their abilities under the pressure of challenging goals tend to maintain or even increase their subsequent goals, thereby making improvements to ensuing performances. Conversely, individuals who lack this confidence have a tendency to lower their goals (making them easier to achieve) and decrease their future efforts (Locke, 1996). Social influences are a strong determinant in goal choice. While the impact of social influences on goal achievement may diminish with increased task-specific knowledge, social influences remain a strong determinant of goal choice (Klein, Austin & Cooper, 2008). Goal setting is a more powerful motivator than monetary incentives alone. Latham & Locke (1979) found goal setting to be the major mechanism by which other incentives affect motivation. Within the workplace, money was found most effective as a motivator when the rewards offered were contingent on achieving specific objectives. A multitude of studies has shown that setting challenging yet attainable goals increases the prospect of pursuing and fulfilling ambitions. The setting of clear goals is more likely to close the gap between current ability and the desired objectives. With this in mind, let’s look at some of the research related to goal setting. Goal setting in teams – The increasing prevalence of team-based structures in the workplace encouraged research in goal setting within teams. Such research indicated structural differences between goal setting for individuals and for groups (Locke & Latham, 2013). Kozlowski & Klein (2000) suggested that while the effectiveness of individual and team goals may look similar when considering the final outcomes, the structure of the goal setting construct is very different. In team-based structures, individuals must engage in interpersonal interaction and various other processes in order to accomplish the team’s goal. Kristof-Brown & Stevens (2001) examined how perceived team mastery and performance goals affected individual outcome. Their findings suggested that agreement on team performance goals elicited greater individual satisfaction and contributions, regardless of goal strength. Goal setting in virtual teams – Within virtual teams (work groups in which members collaborate remotely), designing interactions that encourage the setting of goals leads to the achievement of shared mental models (Powell, Piccoli, & Ives, 2004). The addition of intermediate goals in addition to final goals, and clearly articulating them, significantly improved task performance within virtual groups (Kaiser, Tuller, & McKowen, 2000). Research by Powell, et al. (2004) suggested that virtual groups should employ a ‘caretaker’ – that is someone who is responsible for sharing goal-critical information. The inclusion of a ‘caretaker’ is a means of ensuring that each virtual team member’s efforts are aligned with those of the group, that there is role clarity, and that each teammate’s contribution advances the team toward its goals. Goals and academia – The setting of educational goals in academia ensures learners have an unequivocal understanding of what is expected, which in turn aids concentration on the attainment of their goals (Hattie & Timperly, 2007). Further research by McCoach and Siegle (2003) found that valuing a goal was a necessary prerequisite to one’s motivation to self-regulate and to achieve in a scholastic environment. Additionally, students’ beliefs in their efficacy for self-regulated learning influenced the academic goals they set for themselves and their final academic achievement (Zimmerman, 2008). Neurological rehabilitation – Goal setting is at the core of many neurological rehabilitation therapies. Holliday, Ballinger, & Playford (2006) explored how in-patients with neurological impairments experienced goal setting and identified the issues that underpin individual experiences of goal setting. Their findings suggested that within rehabilitative healthcare professions, it is vital that patients understand what is expected of them in order to ensure goal setting is a meaningful activity. 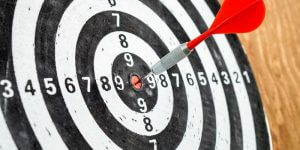 Goal setting in physical therapy – Goal setting is a traditional method used within the practice of physical therapy. Cott & Finch (1991) examined the potential use of goal setting in improving and measuring physical therapy effectiveness. The study suggested that active participation by the patient in the goal-setting process is of primary importance to the attainment of goals. That is, inclusion in the formation of goals rather than having them externally imposed is imperative. Goals energize performance through the motivation to expend the required effort in line with the difficulty of the task. Goals motivate people to persist in activities over time. Goals direct people’s attention to relevant behaviors and away from behaviors which are irrelevant or detrimental to the achievement of the task. Specific and challenging goals are associated with higher self-efficacy (the belief in our own skills and abilities). They require higher performance and more effort to elicit a sense of satisfaction. Specific goals are less ambiguous in terms of what constitutes good performance. Challenging goals are more likely to result in outcomes that are valued by the individual. They encourage a tendency to persist with a task for longer. The more specific and challenging the goal is, the more attention an individual will dedicate to it, often utilizing skills that have previously gone unused. They motivate individuals to search for better strategies and to plan ahead. While the advantages of goal setting are abundant, the process has potential drawbacks. If utilized incorrectly, goal setting has the potential to cause rather than solve problems. For example, if goals are used with a threat of negative consequences, stress and anxiety can be increased (Locke, 1996). Additionally, when there is a conflict between two or more goals, performance with respect to each goal may be undermined (Locke, Smith, Erez, Chah, & Shaffer, 1994). Goal setting can be a useful tool to enhance interest in a task. However, if a goal is deemed arbitrary or unattainable, then dissatisfaction and poor performance may result. If difficult goals are set without proper quality controls, quantity may be achieved at the expense of quality (Latham & Locke, 2006). Within the workplace, pressure for immediate results with no attention to how they are attained can trigger the use of expedient and ultimately costly methods such as dishonesty and high-pressure tactics in order to attain rapid results. As with any other management tool, goal setting works best when combined with good managerial judgment (Latham & Locke, 1979). When tasks are complex in nature, it is crucial that the goal directive is unambiguous and that the skills of the individual are well-matched to the end goal. If the route to the goal is unclear, and there is a lack of relevant prior experience to refer to, individuals are forced to discover new strategies in order to reach their target. While in some cases this can be done successfully, in others this may not be the case, particularly if the goals are specific and difficult. The reason appears to be that under this type of pressure, tunnel vision inhibits effective search procedures (Locke, 1996). While there are disadvantages to goal setting, it is important to remember that, with sufficient foresight, these problems can be overcome or prevented entirely. Planning – The old adage ‘fail to plan, plan to fail’ is applicable to successful goal achievement. Low-quality planning negatively affects performance in relation to goals (Smith, Locke, & Barry, 1990). Planning and organizational skills are integral to the goal achievement process. Through proper planning, we can prioritize and maintain focus on the task at hand, while avoiding extraneous distractions that can draw us away from the end goal. Self-Motivation – Without the desire to achieve, our attempts at goal setting are doomed to fail. Motivation to achieve a goal encourages us to develop new techniques and skills in order to succeed (Locke, 2001). In more challenging circumstances, the motivation to keep going is a powerful contributor to goal attainment. Time Management – Time management is a useful skill across many facets of life including goal setting. While setting goals are commonly considered to be a specific time management behavior (Macan, Shahani, Dipboye, & Phillips, 1990), time management is also required in order to successfully accomplish a goal. If we do not properly consider the timescale required to attain a goal, we will inevitably fail. Additionally, the time we allocate to planning our goals directly impacts task performance – the more time spent on the planning stage, the more likely we are to succeed (Smith, Locke, & Barry, 1990). Flexibility – Inevitably, at some point, things aren’t going to go as planned. Having the flexibility to adapt to barriers, the perseverance to sustain your efforts and to carry on in the face of adversity is essential to reaching your goal. Self-regulation – An individual needs to regulate and manage their own emotions in order to promote their own personal and social goals. With developed Emotional Intelligence comes the ability to efficiently consider and describe motivational goals, aims, and missions (Mayer, 2004). Commitment and Focus – If we are not committed to our goals, goal setting will not work (Locke, 2001). It is imperative that goals are important and relevant on a personal level, and that we know we are capable of attaining, or at the very least making substantial progress towards, a goal. Many areas related to goal setting significantly impact the end result – from the type of goal we set to the ways we in which we approach them. With this in mind, let’s look at some of the areas related to goal setting and how they affect potential success. Achievement theorists have differentiated two types of achievement goals that characterize an individual’s purpose for task engagement: mastery achievement goals which focus on the development of skills, and performance achievement goals which focus on the demonstration of ability (Ames & Archer, 1988). Mastery goals encourage attempts to try and to improve. These skill-focused goals attribute outcomes to the effort put into a task, and construe obstacles as an indication that further learning is required. Within these types of goals, individuals are more likely to respond to failure by increasing future effort and seeking alternative strategies that can improve their skills (Butler, 2014). Performance goals orient individuals to prove. These types of goals define and evaluate task competence relative to others. Performance goals attribute outcomes to ability or lack thereof. Setbacks are viewed as an indication of low ability and discourage the likelihood of asking for help so as to avoid exposing inadequacy (Butler, 2014). Performance goals may create feelings of anxiety and interrupt task performance, whereas mastery goals promote involvement through self-evaluation and ongoing improvement. This suggests that mastery goals may provide a more positive effect on motivation and, in turn, goal achievement (Nichols, 1984). While this is true in part, it is not so black and white. Elliot & Harackiewicz (1994) examined the effects of mastery and performance goals on intrinsic motivation. They discovered that mastery goals proved optimal for subjects with low achievement orientation, while performance goals reduced their interest in a task and led to poor performance. Conversely, high achievement oriented subjects showed positive reactions to performance-focused goals. Much of the existing research inspired by achievement goal theory has focused on the workplace and academia. A separate line of inquiry suggested that goal setting not only contributes to a deeper understanding of achievement, but is also impacted by the interpersonal world of individuals. Peer acceptance and respect significantly affects how we choose and express goals (Covington, 2000). The pursuit of social goals can help organize, direct, and empower individuals to achieve more fully. For example, the desire to achieve goals for the sake of the group is a well-known phenomenon, and it forms the basis for much of the success of cooperative learning (Hertiz-Lazarowitz et al 1992). Covington (1992) suggested that achievement goals adopted in an educational setting, whether mastery oriented or performance oriented, reflect an attempt to establish and maintain a sense of worth and belonging in a society that values competency and success. In effect, individuals are widely considered to be as worthy as their ability to achieve. The fear of failure within this context can impact the attainment of goals. The grades students achieve and successes within the workplace are often the measure by which individuals judge their worth. While most achievement goal and intrinsic motivation theorists posit the existence of two primary goal orientations (mastery and performance), Elliot & Harackiewicz (1996) suggested that performance goals should be further partitioned into independent approach and avoidance orientations. When setting goals, individuals may aspire to attain competence or strive to avoid incompetence; we are driven either by a desire for success or a fear of failure (Lewin, Dembo, Festinger, & Sears, 1944). When it comes to setting goals, we can broadly identify the type of goal as falling into one of three categories. By doing so, we can set a goal in each category or set multiple goals within one category, allowing our focus to fall on specific or multiple areas that require particular attention. Time Goals – Goals can be categorized into short-term or long-term. As the name suggests, short-term goals take relatively less time to achieve than longer-term goals. While there is no set definition to mark the transition between a short or long-term goal, we can think of goals which take between a day to a few weeks to achieve as short-term and goals expected to require a month or more as long-term goals. Focus Goals – Focus goals are all about the big objectives, those potentially life-changing achievements you’re aiming towards. These are goals that tend to fall into the long-term category and may include steps that require adaptations across multiple contexts. For example, the goal of ‘I will write and publish my first novel by the end of next year’ might entail the undertaking of training with respect to creative writing and research regarding self-publishing, a need to adjust your employment situation to allow adequate time to fulfill the goal with respect to the allotted deadline. Topic-Based Goals – These goals fit neatly into a specific area of your life. Topic-based goals could relate to an aspect of your personal life, your career, or your finances. For example, a financial goal could be to ‘save $1,000 by the end of the year’ while a personal goal might be to ‘reduce my cholesterol level to X within 6 months’. The categories of time, focus and topic are not mutually exclusive. Rather, goals are likely to fall into at least two categories. We may set ourselves a short-term financial goal of ‘save 1/3 of next month’s pay’, or perhaps a long-term personal focus goal of ‘get fit enough to compete in an iron man competition’ or any other combination thereof. Personal goal setting is a personal endeavor, only you know what you want to achieve. The following outline will help focus your attention on the personal goal setting process and guide you in the right direction for successful personal goal attainment. It might be tempting to approach goal setting with gusto, and while enthusiasm is a good thing it is important not to rush into too much too soon. By limiting the number of goals you initially set there is less chance that you will become overwhelmed by the tasks ahead. Setting just a few initial goals will allow you to make a start on the journey while avoiding the negative emotions that accompany failure. As you begin to achieve your objectives, try setting more challenging, longer-term goals to push your abilities even further. Once your goals are set, remember to review them regularly. When you begin the goal setting process it may be beneficial to revisit your progress daily or weekly depending on the goal. Initially, it is better to set short-term and more realistic goals. Setting short term goals such as “I will learn to make pancakes by next week” enables more frequent opportunities to review and acknowledge the achievement of goals. More frequent experiences of success result in greater positive emotions and increased motivation to set additional goals or a combination of short, medium and long-term goals. Reframe negative goals such as “I want to stop eating so much junk food” into more positive terms like “I want to feel healthy and will change my diet in order to do so”. With negative goals, the initial motivation often comes from a place of negativity, for example, “I want to stop eating so much junk food because I feel unattractive”. These negative connotations can lead to self-criticism and de-motivation. Failure to achieve a positive goal is viewed as an indication that while we may have failed at least we are still on the right path. Goal setting is a robust method of support for positive mental health (Rose & Smith, 2018). When considering the goals you would like to achieve in relation to psychological health, think about what you want to change and how you want to go about changing it. Achieving goals in any aspect of life can boost self-esteem and self-efficacy, leading to improvements in confidence and well-being. Janet has been thinking about her well-being and wants to make changes to improve her mental health. Within this area, goals such as “I want to be happier” are too vague and will create barriers to achievement. Janet settles on the more specific goals of “I will do one thing every day that makes me happy”. This is much more realistic and can easily be reviewed. Canevello & Crocker (2011) suggested that goals contribute to the cycles of responsiveness between people and improve relationship quality. Interpersonal goal setting allows us to create higher quality relationships characterized by improved responsiveness that ultimately enhance relationship quality for everyone involved. Toby decides he wants to spend more time with his family, after thinking about how he can do this he feels that the problem may be related to the many late nights he has been spending at work. Toby decides, “I will make sure I am home from work every night before the children go to bed”. While this may seem like a specific goal, there is still much ambiguity. What if he has to work late in order to meet a deadline? Both he and his children will feel disappointed and frustrated with this outcome. After reviewing his goal, Toby makes some alterations and thinks that the goal, “I will make sure I am home from work 2 days a week so that I can see the children before bedtime”. By adding specifics, he has made his goal more achievable and measurable. On reviewing his goal progress, Toby might then decide to change his goal to three times per week if experience tells him this is attainable. Money, or lack thereof, can massively influence our mental health and well-being (Mind, 2016). It is impossible to know what life will throw at you – illness, redundancy, unexpected expenditure. In this category, like many others, short term, smaller goals are often more likely to result in success. Perhaps you have debt that you want freedom from or even just a rainy day savings fund. Whatever your financial goal, small positive steps to taking control of your finances can make a big impact. Jenny has been thinking about her finances and decides she wants to start building her savings. Rather than setting the vague goal, “I want to save money”, she thinks in more detail about her objective and sets the goal “I will save $500 in the next 8 weeks”. By making the goal more specific and measurable, Jenny has improved the likelihood of actually achieving her goal. The goal can now be reviewed as and when she decides to and it will be clear if she is on track. This PDF: ‘Workbook for Goal-setting and Evidence-based Strategies for Success’ provides an abundance of exercises and worksheets with the aim of teaching the reader the best practices for designing, pursuing and achieving important goals. Compiled by Caroline Adams Miller, MAPP, author of ‘Creating Your Best Life: The Ultimate Life List Guide’, the 90+ page workbook provides a structured approach to guide readers towards successful goal setting. 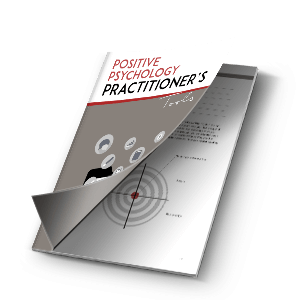 This workbook/guide draws input from a number of areas, including work on “flourishing” from positive psychology founding father, Dr. Martin Seligman. It presents a thorough 6-theme process which guides readers to successful goal setting and provides an in-depth review of the underlying psychology. Anxiety Canada’s PDF ‘Guide for Goal Setting’ provides a simple but effective guide on how to identify, set, and achieve realistic goals. The guide handily breaks down the process into easy-to-follow steps while prompting readers to view their future prospects in a positive light. Identify your goals with a focus on being realistic and specific. Break down these goals into smaller steps. Identify potential obstacles between you and your goals. Build a schedule and allow adequate time to pursue goals. The guide’s a really great way to dip your proverbial toe with regards to goal setting practices and represents a fantastic starting point if you’re keen to jump right into the practice of goal setting. The University of Exeter’s PDF, ‘Goal Setting’ for the physically impaired was compiled by BABCP-accredited Cognitive Behavioral Psychotherapist, Dr. Paul Farrand and associate research fellow, Joanne Woodford. The guide focuses on goal setting for individuals facing physical health problems. Alongside goal setting advice, the guide contains worksheets with which individuals can track their progress. Once your goals are set, it is important to revisit and reassess them. Reviewing goals affords the opportunity to assess progress and to ensure they are still relevant. While some goals can be achieved relatively quickly, others take time, patience and lasting motivation to continue. The frequency with which goals should be reviewed is very much dependent on the goal itself. What is more certain is that you should plan to review your goals regularly. If, for example, you have set yourself smaller milestones to reach on the route to your final goal, it may be prudent to review these on a weekly basis. Being aware of your progress allows opportunities to alter your actions and goals so as not to undermine the hard work you have already put in. Perhaps things aren’t quite going as planned, regular reviews allow you to reflect on the difficulty of the goals you have set. Is the goal more challenging than you expected? What can you improve upon to attain it? Regular goal reviews ensure the goal is still relevant – is this still what you want to achieve? If you do not ‘check in’ on your progress, you can lose sight of your ultimate aim which will result in disappointment, frustration and less motivation to attain it than when you first began your journey. Time-based goals such as learning a new language can take months or even years to complete. When working towards these types of long term goals, it is a good idea to break them down into more manageable targets that can be reviewed weekly. Essentially, reviewing your goals ensures that you are monitoring your progress in relation to successes and failures. It gives you the chance to analyze the good and bad, so that you can regroup, build on that knowledge, and improve future goal setting strategies. While perusing the abundance of literature available on the positive aspects of healthy goal setting, you may be wondering if there’s an industry-accepted standard for the formation of goals. The S.M.A.R.T. protocol offers a guide to help steer you towards setting goals that are suited to your abilities, timely, and measurable. If you are unsure of the goal setting process, the S.M.A.R.T framework offers a sense-check to ensure your goals are the best they can be. It’s important to be as specific as possible when setting goals. This can make the difference between knowing what you are aiming for and how you’ll get there versus being frustrated in the face of a seemingly insurmountable or open-ended goal. Specificity in goal-setting can be achieved by looking at the what, why, where, when and how of a goal. What do I want to achieve? How will I get there? When should I have achieved this goal by? Having a goal which can be quantified in some way makes it a lot easier to track your progress. Consider a ‘get fitter’ goal, how does one know when peak fitness has been achieved? We could be on the treadmill forever not knowing if our goal has been realized. Amending the goal to, ‘I want to get fitter so that I can take part in a half marathon’ makes the goal more explicit, allowing for the continued evaluation of our progress towards achievement. Is the goal you have set actually achievable? Whilst humans are industrious, innovative, beings with massive potential for achievement, the goals we set need to be grounded in reality lest we set ourselves up for disappointment. Working with the same ‘get fitter’ example, if you’ve never exercised in your life or perhaps suffer from some impairment to lower-body mobility it would be unrealistic to set a goal of say ‘get fit enough to run an ultra-marathon by next week’. Finding a balance between the effort required and the challenge posed can be tricky, the reward gained from goal attainment must be worth the effort put in. Here we focus more intently on the subjective ‘why’. Is the goal you’ve set something you actually want to achieve or does it stem from some external pressure? Do you really want to double the efficiency of your department at work? Would running a marathon provide fulfillment for you personally? Like the dog chasing the car, when you finally reach your goal, is it going to be something you relish or will it represent an ineffective conclusion? Deadlines maximize the reward versus time component of achieving a goal. For example, ‘get fit enough to run a half marathon by the end of summer’ includes a clear yet achievable timescale. Setting a deadline that requires frantic learning or training in order to scramble towards a goal can turn the otherwise positive experience of setting goals into an unnecessarily stressful endeavor. Have you ever made a grand New Year’s resolution only to find that by the middle of January, you’ve given up or forgotten all about it? Chances are, you set yourself a goal that was too general, too ambitious, or something you weren’t entirely committed to. Incorporating healthy goal setting techniques is an excellent way to tackle these issues. It may seem like an unnecessary additional effort, but there is value in putting pen to paper. Write down your goals and think carefully about the steps involved to get there. The very act of writing something down improves recall (Naka & Naoi, 1995), and having a physical reminder of what you want to achieve means you can check-in and review it at any time. Put a plan into action and review it regularly. Consider the timescale in which you wish to achieve your target. If your goal is a particularly challenging one, break it down into smaller, more manageable goals that culminate in attaining your main goal. Rather than saying “I want a promotion”, consider the smaller steps that will help get you to that goal, “In the next 4 weeks I will commit to taking on a project I haven’t tried before”. Whatever you decide, ensure it is right for you. How we articulate goals to ourselves is integral to the outcome of our efforts. Rather than a blanket statement, more specific goals will be much more effective. Rethink your objectives by presenting them in more specific terms, then build on that. Reward yourself for your successes, but don’t punish yourself for failure. This doesn’t mean rewarding yourself with chocolate when you attain a healthy eating goal, rather an internal pat on the back. Acknowledge your success and revel in the positive emotions that accompany it. It is important to be resilient in the face of adversity. Reassess your goals and make alterations when you feel it is necessary to do so. It’s great to shoot for the stars, but goal setting is more about what you can realistically accomplish rather than an idealistic vision of what you hope you can achieve. Brainstorm. Consider what you want to accomplish and be specific in your goals – really think about your core values and what outcome you are reaching for and write them down. Clear goals will ensure a comprehensive understanding of what is required in order to achieve them. Take the time to really reflect on what you want. Create a ‘Goal Tree’. This logical thinking process tool is an excellent way to maintain focus on your goal while considering the strategy you might use to achieve it. The very top of the tree is the end goal – your mission statement. On the next level is a maximum of five objectives that are critical to attaining your main goal. Under the objectives are the necessary conditions required to achieve each one. A Goal Tree is like a map to success, over time each step is color coded as it is completed, meaning that you can easily review your progress at a glance. Be optimistic but realistic. If you set an unrealistic goal, it may well discourage you from continuing with your endeavor. Evaluate your goals and reflect upon them. Feedback is superior to no feedback, and self-generated feedback is more powerful than externally generated feedback (Ivancevich & McMahon, 1982). After setting your goal, feedback is the best way to assess how well you are doing. Try setting up a schedule where you can ‘check-in’ on your progress every week – do you need to reassess and redefine your goal? Intermittent reinforcement involves interspersing easier, more achievable goals among more challenging, difficult goals (Martin & Pear, 2019). The completion of each smaller goal becomes rewarding in and of itself, thus delivering the positive effect of success at regular intervals. Tell others about your goals. When we share our goals we are more inclined to exhibit accountability and strengthened commitment. If you tell a friend about a goal you have set, how will you feel if they ask about it and you haven’t been working towards it? Believe in your abilities, but know that it’s OK if things aren’t going to plan. Reevaluating our progress and rethinking goals is all part of the process. Remember that any progress towards your goal is a good thing. We all have the capacity to adapt and to achieve our personal expectations. Through goal setting, we raise the bar in relation to our own potential and push ourselves to achieve things we only hoped were possible. Have you incorporated any goal setting techniques to help you on your way to success? Or maybe you are tempted to make a start on your own plan? How are you going to turn your goal setting into goal getting? Let us know in the comments below. Ames, C. & Archer, J. (1988). Achievement goals in the classroom. Journal of educational psychology, 34, 260-267. Arvey, R. D., Dewhirst, H. D., & Boling, J. C. (1976). Relationships between goal clarity, participation in goal setting, and personality characteristics on job satisfaction in a scientific organization. Journal of Applied Psychology, 61(1), 103-105. Bressler, M., Bressler, L., & Bressler, M. (2010). The role and relationship of hope, optimism and goal setting in academic success: A study of students enrolled in online accounting courses. Academy of Educational Leadership Journal. 14. 37-51. Butler, R. (2014). The Role of Gender in educational contexts and outcomes. Advances in child development and behavior, 47, 1-41. Cott, C. & Finch, E. (1991). Goal-setting in physical therapy practice. Physiotherapy Canada, 43, 19-22. Covington M.V. (1992). Making the Grade: A Self-Worth Perspective on Motivation and School Reform. New York: Cambridge University Press. Covington, M.V. (2000). Goal theory, motivation, and school achievement: An integrative review. Annual Review of Psychology, 51, 171-200. Elliot, A.J. & Harackiewicz, J.M. (1994). Goal setting, achievement orientation and intrinsic motivation: A mediational analysis. Journal of Personality and Social Psychology, 66, 968-980. Erez, M. (1977). Feedback: A necessary condition for the goal setting-performance relationship. Journal of Applied Psychology, 62, 624-627. Hertiz-Lazarowitz ,R., Kirdus, V.B., & Miller, N. (1992). Implications of current research on cooperative interaction for classroom application. In Hertz-Lazarowtiz, R. & Miller, N. (Eds.). Interaction in Cooperative Groups: The Theoretical Anatomy of Group Learning. New York: Cambridge Univ. Press. Ivancevich, J. M., & McMahon, J. T. (1982). The effects of goal setting, external feedback, and self-generated feedback on outcome variables: A field experiment. Academy of Management Journal, 25(2), 359-372. Kaiser, P., Tullar, W., & McKowen, D. (2000). Student Team Projects by Internet. Business Communication Quarterly, 63, 75-82. Klein, H.J., Austin, J.T., & Cooper, J.T. (2008). Goal choices and decision processes. In R. Kanfer, G. Chen, & R.D. Pritchard (Eds). Work Motivation: Past, Present, and Future. New York: Routledge. Kleinginna, P. & Kleinginna A. (1981). A categorized list of motivation definitions, with suggestions for a consensual definition. Motivation and Emotion, 5, 263-291. Latham, G.P. & Locke, E.A. (1979). Goal Setting - A Motivational Technique That Works. Organizational Dynamics, 8, 68-80. Latham, G.P. (2004). The Motivational Benefits of Goal Setting. Management Perspectives, 18, 4. Latham, G.P. & Locke, E.A. (2006). Enhancing the benefits and overcoming the pitfalls of goal setting. Organizational Dynamics, 35, 332-340. Locke, E.A. & Latham, G.P. (1991). A Theory of Goal Setting & Task Performance. The Academy of Management Review, 16. 10.2307/258875. Locke, E.A., Smith, K.G., Erez, M.E., Chah, D.O., & Shaffer, A. (1994). The effects of intra-individual goal conflict on performance. Journal of Management, 20, 67-91. Locke, E.A. (1996). Motivation through conscious goal setting. Applied & preventive psychology, 5, 117-124. Locke, E.A. (2001). Motivation by goal setting. In Golembiewski, R.T. (Ed). Handbook of Organizational Behavior, Second Edition, Revised and Expanded. New York: Marcel Dekker, Inc.
Locke, E.A. & Latham, G.P. (2002). Building a Practically Useful Theory of Goal Setting and Task Motivation: A 35-Year Odyssey, American Psychologist, 57, 705-717. Locke, E.A. & Latham, G.P. (2013). New developments in goal setting and task performance. New York: Routledge. Macan, T., Shahani, C., Dipboye, R., & Phillips, A.P. (1990). College Students' Time Management: Correlations With Academic Performance and Stress. Journal of Educational Psychology. 82. 760-768. 10.1037//0022-0663.82.4.760. Martin, G. & Pear, J.P. (2019). Behavior Modification: What It Is and How To Do It. (11th ed.). New York: Routledge. Mccoach, D.B. & Siegle, D. (2003). The School Attitude Assessment Survey-Revised: A New Instrument to Identify Academically Able Students Who Underachieve. Educational and Psychological Measurement, 63, 414-429. 10.1177/0013164403063003005. McCurdy, M., Skinner, C.H., Grantham, K., Watson, T.S., & Hindman, P.M. (2001). Increasing on-task behavior in an elementary student during mathematics seatwork by interspersing additional brief problems. School Psychology Review, 30, 23- 32. Miner, J.B. (2005). Organizational Behaviour 1: Essential theories of motivation and leadership. Oxon: Routledge. Morisano, D., Hirsh, J., Peterson, J., Pihl, R., & Shore, B. (2010). Setting, Elaborating, and Reflecting on Personal Goals Improves Academic Performance. The Journal of applied psychology. 95. 255-64. 10.1037/a0018478. Naka, M. & Naoi, H. (1995). The effect of repeated writing on memory. Memory and Cognition, 23, 201-212. Powell, A., Piccoli, G., & Ives, B. (2004). Virtual Teams: A Review of Current Literature and Directions for Future Research. The DATA BASE for Advances in Information Systems, 35, 6-36. Ryan, T. A. (1970). Intentional behavior. New York: Ronald Press. Schunk, D. H. (1985). Participation in Goal Setting: Effects On Self-Efficacy and Skills of Learning-Disabled Children. The Journal of Special Education, 19(3), 307–317. Smith, K., Locke, E., & Barry, D. (1990). Goal Setting, Planning, and Organizational Performance: An Experimental Simulation. Organizational Behavior and Human Decision Processes, 46. 118-134. 10.1016/0749-5978(90)90025-5. Zimmerman, B.J., Bandura, A., & Martinez-Pons, M. (1992). Self-Motivation for Academic Attainment: The Role of Self-Efficacy Beliefs and Personal Goal Setting. American Educational Research Journal, 29. 663-676. 10.3102/00028312029003663. Zimmerman, B.J. (2008). Goal setting: A key proactive source of academic self-regulation. In Shunk, D.H. & Zimmerman, B.J. (Eds). Motivation and Self-Regulated Learning: Theory, Research, and Applications. Abingdon: Taylor & Francis. What is The Difference Between Positive Psychology and Mental Hygiene?